Have you downloaded, read, marked-up, tweeted corrections to me yet about Blueprint 2018? Well, what are you waiting for? I've been hearing from lots of folks already, arguing with me about buzzwords and commiserating with me about trying to write something for print that addresses tax and telecommunications policy while the U.S. Congress debates tax bills and the FCC kills net neutrality. Now you also have a chance to join in the prediction business. In the next two weeks the news, trade press, social media, radio, and television will start filling up with end-of-year lists and predictions for next year. 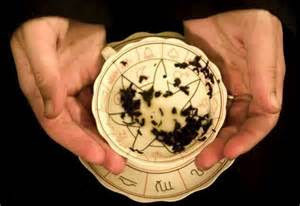 YOU TOO CAN BE A PREDICTOR - There are lots of ways to contribute your ideas. 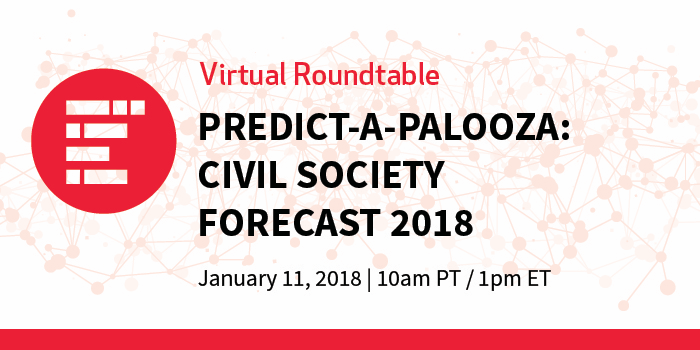 Then register here to join us on January 11, 2018 for a live discussion about your predictions and those from David Callahan (@InsidePhilanthr), Trista Harris (@TristaHarris), Julie Broome (@AriadneNetwork) and our moderator Crystal Hayling (@CHayling). 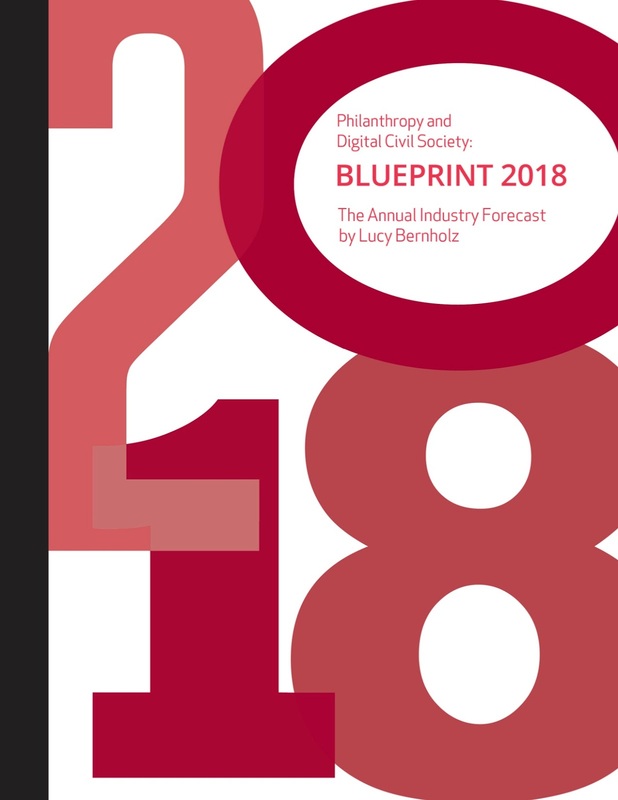 Blueprint 2018: Philanthropy and Digital Civil Society is now available for free download. Get yours here. And if you just want the buzzwords, the Chronicle of Philanthropy has them here. We'll be doing a free webinar discussion on the predictions in January - register here.